1. Cut a hole in the fruit that's slightly larger than the diameter of the tea light. Use a knife to gently trace and carve out the area where the tea light will sit. 2. Use the melon baller to remove bits of fruit and create a well for the candle to sit. 3. 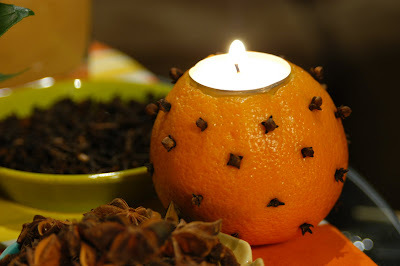 Place a tea light in the well and press cloves into the skin to release the aromatic oils of the fruit and spice. If the fruit is thick-skinned, use a toothpick or a bamboo skewer to make the initial opening before inserting cloves. 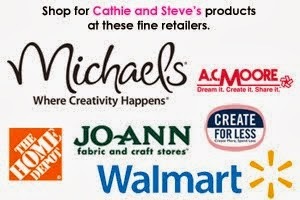 This is a great craft! It smells great and looks beautiful. THANK YOU!!! Are there any problems with the orange fruit that is left rotting afterwards? Is this a one evening type of candle? This looks beautiful!